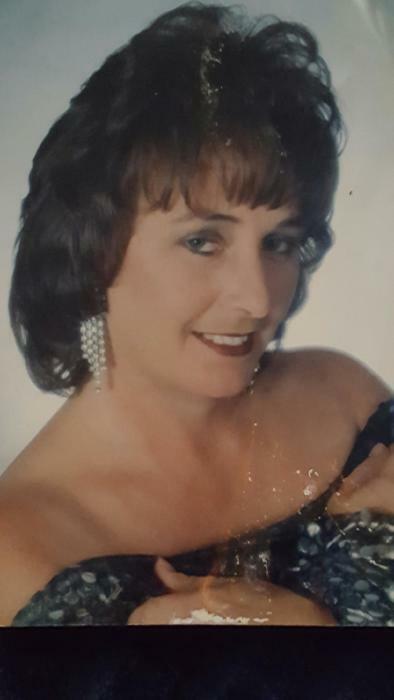 Robin Cochran Freeman, age 52, of Oak Hill, died Thursday, August 28, 2018 at Parrish Medical Center, Titusville. Born in New Smyrna Beach to John and Ethel Clark Cochran; Robin was a lifelong resident. She was loved by her family and was a mother to all. Robin enjoyed family gatherings, cooking, fishing, trips to the casino with her mother, but most of all, she loved spending time with her husband. Survivors include her husband of 36 years, Randy; 8 children, Cyle Freeman, Casi Freeman, Tasha (Michael) Attard, Ryan (Athena) Freeman, Tina Freeman, Tonya Jackson, Brandy Freeman and Randy Freeman, Jr.; 19 grandchildren; 11 great grandchildren; 2 brothers, John and Ronnie Cochran; 2 sisters, Rita (Joe) Friedel and Rhonda White; mother, Ethel Cochran and a large extended family. Robin was preceded in death by her father, John Cochran; sister, Donna Freeman and brothers, Ferlin Cochran and Jerry Cochran. Funeral service will be 1:00 p.m. Saturday, September 1st at the First Baptist Church of Oak Hill with the Dr. Tim Palmer, officiating. Burial will follow at Oak Hill Cemetery. Friends will be received on Saturday, September 1st at Noon until the service.